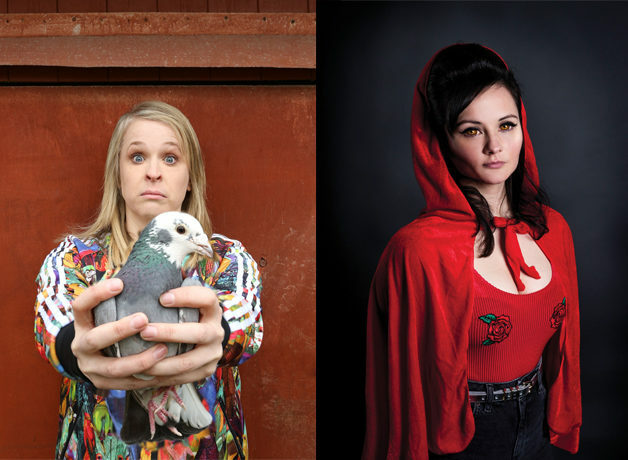 In a first for Push, Lettuce Laugh Comedy have curated a double bill comedy evening showcasing two of the North West’s best up and coming comedians with their recent hit Edinburgh Fringe shows. Rachel Fairburn, one half of the hugely popular All Killa No Filla podcast, performs The Wolf at the Door, a brutally honest show about all sizes of mistakes – small ones, big ones and life-changing ones. Hayley Ellis’ Once, Twice, Three Times a Hayley is a show about patience, people and pigeons – her dad’s lost homing pigeon to be precise. Want to know more about Rachel Fairburn? Want to know more about Hayley Ellis?